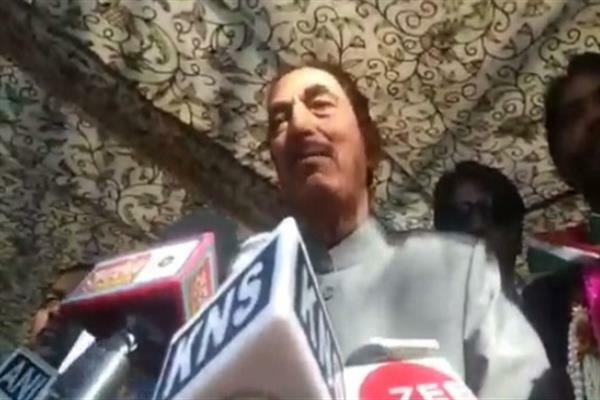 Srinagar: Senior Congress leader and former chief minister Jammu and Kashmir, Ghulam Nabi Azad on Wednesday said that any policeman, parliamentary trooper involved in the killing of an innocent civilian should not be spared. He further stated that he is the not the man who mixes the words. “I use to praise Army. I have always praised the Army for good work, fighting out the militancy. Yes, they have given supreme sacrifice for the country. Our forces including police, paramilitary forces have given supreme sacrifices and so have our civilian also given supreme sacrifice for the unity and integrity of the unity,” he said. “One case came before me and then I took note of that and I proved that it was a fake encounter and one SP and DySP and 11 others, all hailing from Jammu and Kashmir involved in it in jail for last 11 years,” he added.